Who are those beautiful men in the 4th and 5th picture? very nice and interesting article! i love all the hats. 3rd picture, man in the left!!! i'm obsessed with the gentleman in the 2nd to last shot. 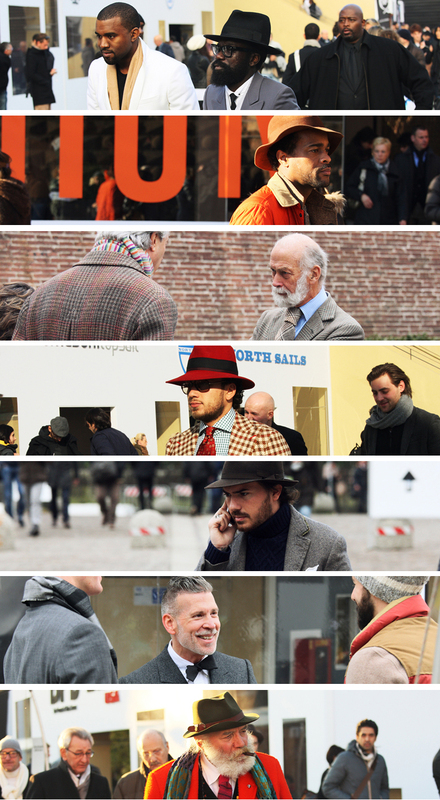 stylish men - always refreshing! the format of these photos is so great!